Don't get left behind on Amazon and eBay. Reprice automatically and make sure you always stay ahead of the competition. Our flexible pricing rules and automatic repricing keeps you competitive all day, every day. We work to keep your margin maximised so that each sale you make is as profitable as possible. Target the Amazon Buy Box, or round up to the nearest 99p on eBay. Our team of marketplace experts can advise you on the various options and discuss with you what is right for you. You can call today to find out what would work for you on 01786 430076. With various ways to update your prices in bulk, including file uploads and automated feeds, you can really drive your business. 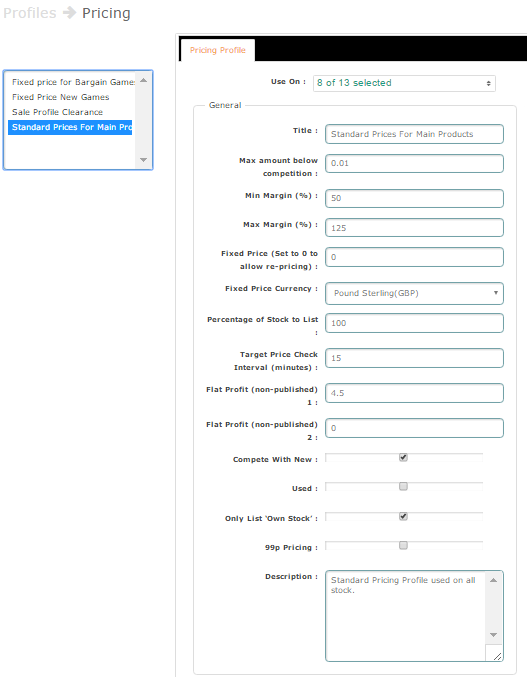 Use our flexible pricing profiles and rules to set the minimum and maximum prices for an individual or group of items. Set as few or as many rules up as you need. 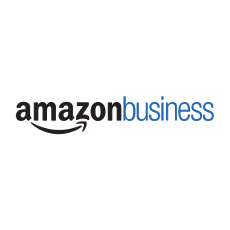 We'll automatically reprice on Amazon, eBay and Fnac, ensuring that you are always winning business profitably. And you can build in overhead costs and switch off automatic repricing in favour of fixed prices if you prefer. To ensure you manage your tax obligations correctly we provide easy to set up Tax Profiles allowing you to account for and manage your tax obligations with minimum fuss, regardless of where you are selling. Repricer software is essential for multi channel ecommerce. Set your own customised profit margins for every listing on every marketplace. The repricing software from Seller Dynamics ensures you will always sell at the highest possible price. With powerful options to give you multiple pricing strategies, the Seller Dynamics repricing software wins you business time after time. Our repricing software includes exchange rate conversion for selling internationally to generate sales for you around the globe. Repricing software is a feature which enables you to maximise sales while continuing to sell at a profitable level. Applicable to all multi channel ecommerce clients selling on Amazon, eBay or Fnac, Seller Dynamics will keep a watchful eye over ALL your products. Our repricer software is an inherent part of Seller Dynamics, and automatically reprices an item in relation to marketplace activity on Amazon, eBay and Fnac. The Repricing software, from Seller Dynamics, is just one of many dynamic features. Call us to ask any questions about repricing and all our other features on 01786 430076. By using our repricing software as an element of your marketplace management strategy, your items will always sell at a profitable rate based entirely on your rules. Our automatic repricer software gets you selling more and selling more profitably on Amazon, eBay, and Fnac.